are being adopted by independent and also as a franchise dealer at a rapid rate. As a result of economic woes and technology advances having the ability to sell to credit challenged individuals has become very profitable and also less risky. Buy here pay here program (BHPH program) can be used in local computer and/or on the cloud. You can also access this powerful suite of finance tools from anywhere you are. With our Buy here pay here system (BHPH system) module you get everything you need to manage and improve your business in one easy to use package. 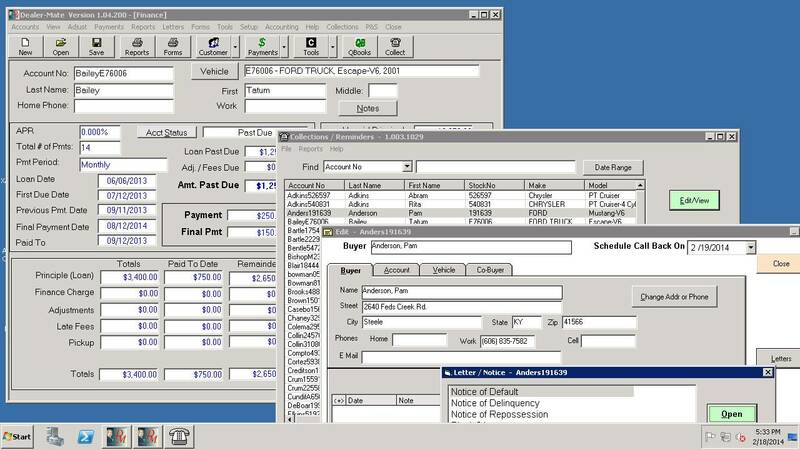 Since it is also scalable you will meet the needs of single lot dealerships to large multiple store organizations. 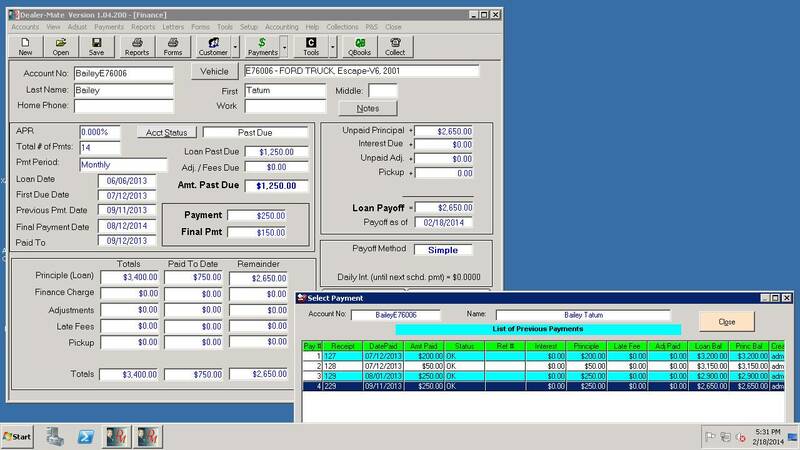 In addition, it provides all the tools to manage car lots with including NSF transactions and automatic late fees, postponing payments and buyback, un-wind procedures and collections and full integration with QuickBooks makes this module a full-featured Lender Platform. 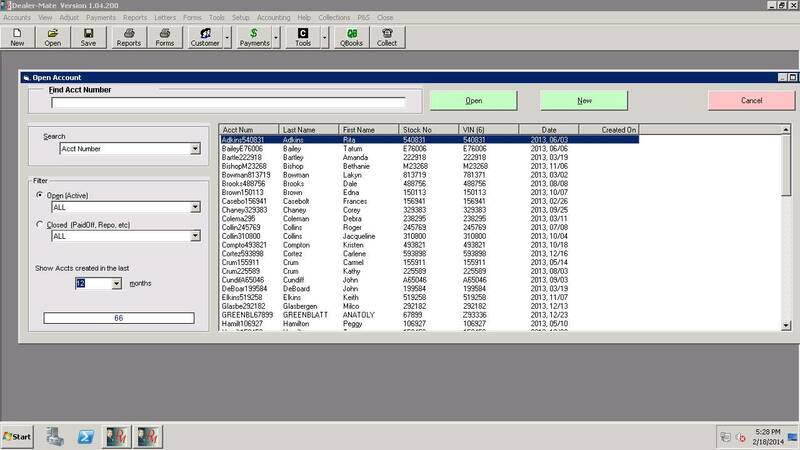 Easy to use build-in reports and Finance management System.